After I made "Mock Pulled Pork" from jackfruit, I knew that I wanted to use it in many other ways. 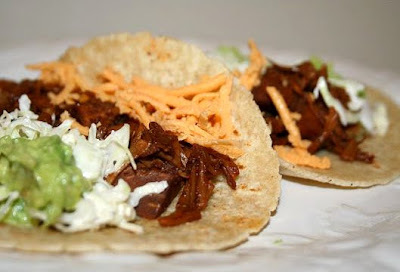 I came up with this recipe as a filling for tamales and then after tweaking it a bit, I made it again for tacos. It's so good and flavorful! You could eat it as a side dish or use as a filling for other things. Next on our list is to try it in a big burrito! 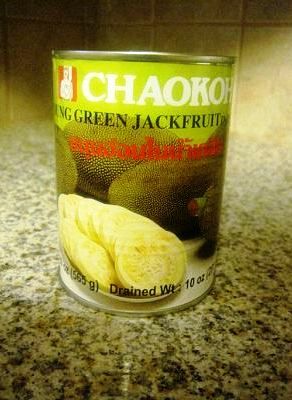 This is the jackfruit that I use. There are a few brands at my local Asian grocery store, but this one has worked well for me. Rinse and drain jackfruit. 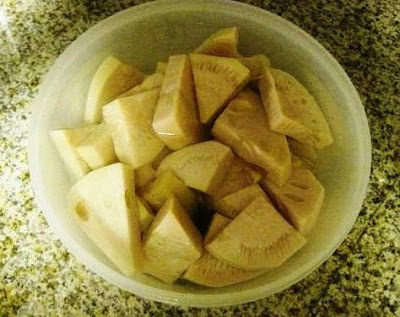 Squeeze as much brine out of the jackfruit that you can. 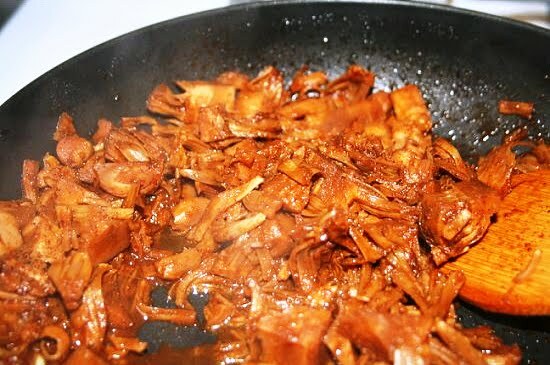 Soak the jackfruit in clean water for at least an hour. Rinse, drain and squeeze the jackfruit out again. Saute garlic in oil just until light golden. Add in the jackfruit and coat with the garlic oil mixture. Add in all other ingredients and mix well. 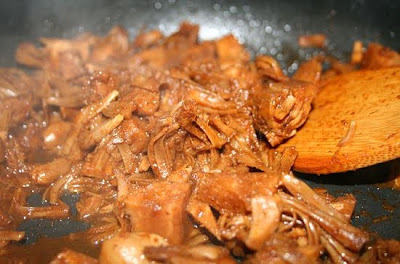 Break up jackfruit as much as you can, so that the seasonings can penetrate to the inside. Cover with a lid and reduce heat to simmer. 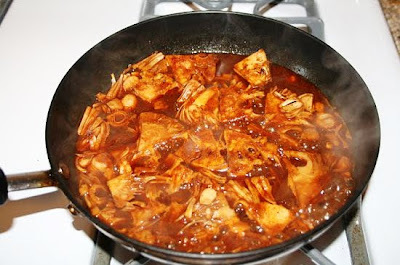 Simmer for about 45 minutes or until jackfruit is tender and has soaked up most of the liquid. Continue breaking up jackfruit and shredding it. 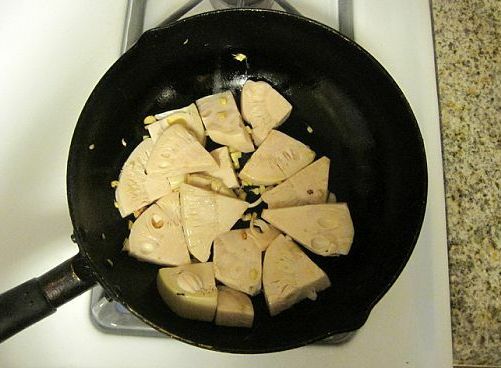 Remove jackfruit and lay on an oiled baking sheet. Then, broil it on high for about 10 minutes until caramelized. Remove lid and saute in pan until the jackfruit has soaked up all the sauce and carmelizes.